Abstract: “We own the night” is a memorable boast of the US military. Behind it are the high quantum efficiency, low yield, and high infrastructure cost of longwave infrared (8-12 micron spectral band) mercury cadmium telluride (MCT) photodiode technology. No other country could afford this best and most expensive of night vision sensors for the past 60 years. This supremacy is now under challenge by new sensor technologies that promise equal or better performance at much lower cost. Based on Group III-V compound semiconductors, these sensors leverage the commercial infrastructure of high-speed transistors and semiconductor lasers to achieve low cost at modest volumes. It all started, innocently enough, with the invention and development of the GaAs/AlGaAs quantum well infrared photodetector (QWIP) at Bell Labs, NASA and some US defense companies and universities from ~ 1985 - 2000. Mocked for its low quantum efficiency and moderate frame rates, the QWIP focal plane array (FPA) has nevertheless been embraced by some NATO countries (especially France) for its ground forces. It has also carved a commercial niche for itself in gas imaging because its spectral response can be tailored to the absorption spectra of certain gases. A few years ago, there appeared another infrared sensor that promised to combine the high performance of MCT with the low cost of QWIP: the antimonide-based Type-II superlattice (T2SL) photodiode. A textbook case of bandgap engineering, it layers two materials (InAs and GaSb) in a periodic structure to create a new material with an effective energy bandgap lower than either of its constituents'! Progress has been rapid, remarkably so for an infrared sensor technology. 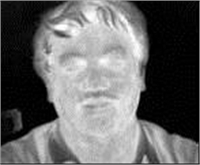 Imaging arrays with formats upto 1Kx1K and quantum efficiency > 50% were recently demonstrated by multiple groups. A further benefit of T2SL is that with some clever bandgap engineering the device can be made to have dualband spectral response, e.g. in the midwave (3-5 micron) and longwave (8-12 micron) bands. Such dualband FPAs are a hot area of ongoing R&D. This talk will address the physics, technology, and current status of QWIP and T2SL infrared sensors. Biography: Mani Sundaram is CEO of QmagiQ, a company that develops, manufactures, and sells infrared imaging chips, sensor engines, and cameras. QmagiQ was started in 2003 by a bunch of engineers from Lockheed-Martin who had given up on inheritance and marriage as ways to get rich and embarked on the third, uniquely American, way, viz. the high-tech startup. One housing bust, one recession, and zero bailouts later (without the benefit of a Harvard degree, we were ill-equipped to partake of the TARP buffet laid out on Wall Street), we are still at it. Thanks to some basic knowledge of quantum mechanics and semiconductors and despite our exposure to such industrial hazards as quality assurance and production control, QmagiQ is a modern high-tech US manufacturer of the sort that politicians like to refer to as the future, a compliment that scares more than it flatters. QmagiQ makes and sell commercial QWIPs and is working on commercializing T2SL. We do some advanced R&D for the US government and have delivered space-qualified FPAs to NASA. Mani Sundaram received his B.Tech. from the Indian Institute of Technology Madras (India) and his MS and PhD from the University of California (Santa Barbara), all in Electrical & Computer Engg. He has worked at NASA-JPL, Lockheed-Martin, and TeraConnect. He was a Fellow of the Regents of the University of California (while a graduate student) and is a recipient of the NASA Award for Exceptional Technical Achievement. He has published extensively, holds several patents, and given some talks. He is pictured alongside by a QmagiQ QWIP at 8.6 microns, a wavelength at which, his colleagues assure him, he looks more tolerable than in the visible.